Haha thanks for the feedback Moey. We're testing a few variants of this color scheme at the moment but all the front page icons we change will all have the same "smooth" appearance and colors. - adding an image when making a new reply in a thread, is hard for beginners. There is an IMG button, but where is the upload button? If I cannot find it, then I suggest to make this ability more visible and clear for new members of forex-station. - this may not be an improvement, but I'd still like to regard it, which is when opening an image, then the 'zoom in' function appears in the webpage. In most forums if you open an image, you can either 'backspace' to go to previous page or ctrl + w to close the tab of the image as to go back to where you were in the thread. But in this website both backspace (or alt + left arrow) or ctrl + w don't appear to be useful as you need to move the mouse all the way to the top right corner to close it. In my opinion this simple movement making it go around seems rather excessive. - the 'browse images' function. This is very useful. If I find more improvement to help out the site, I would be willing to contribute again. Happy pipping! - now it is not possible to download files directly from the download page (attachment page). It re-directs me to the thread where the file resides, and from there I have to scroll down a lot (if the post is large in size) and then I'm able to download it. 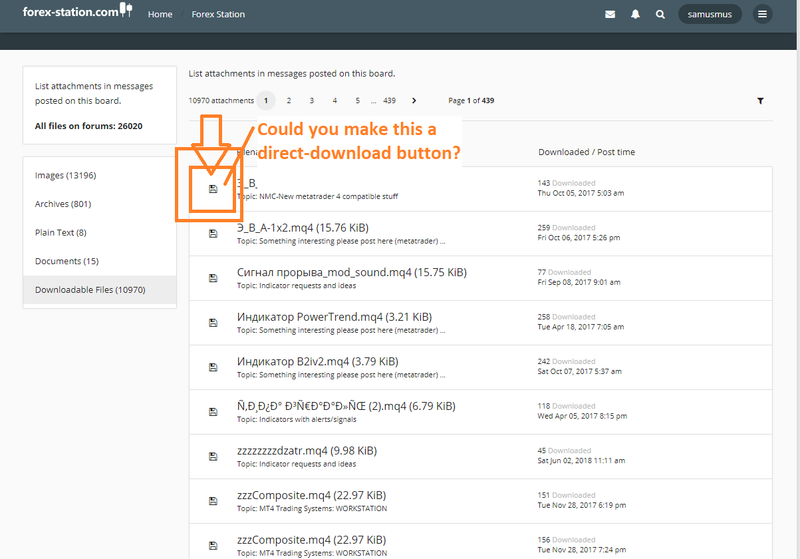 My suggestion is to make the files directly downloadable by clicking once on the file in the attachment page (instead of going to the thread again and then scroll down and then download). Especially if there are multiple files, one might prefer clicking insta-downloads rather than browsing back to all threads. -I cannot use ctrl + b to bold text in a reply. - when I click on the reply or 'quote' button in a thread, then I cannot type instantly because the page is loading which causes the 'text field' to shift a bit downwards. The result is that I missclick while trying to click on the text field to activate the FOCUS on the field. I think the button for 'bold' creates this bug. I suggest to fix this as to make the functionality more user friendly. *sorry I was trying to edit my own message in the other thread with the same name. - the download buttons in the threads are not clear (not jumping out in the eye). My suggestion is to make this more visually 'seen' for a user friendly interface. - many images in threads do not work (probably because the links were temporary). Aren't there free 'image databases' that this site can use? Or otherwise pay 10 dollar a month, it shouldn't be that much right? Because images say more than a thousand words, that makes a forum great. - Is there a way to download a bunch of indicators at once? - search function is not ideal. suggestion: When I type in "Candle Trend" it shows all threads that contain either the word "Candle" or "Trend". Good luck trying to find something clicking through 100 pages. - make the first post in all threads (on this forum) editable (no expiration date). - the first thing the readers do is read the first post. The first post contains the main goal, system, tips, links, files, etc. - add the version number in the indicator name. For example on page 4 and 5: viewtopic.php?f=578480&t=8472608&start=30 all updates have the same name. This may not be the most effective way if others reply on it, work on it, upload a customized version or contribute by offering solutions and improvements to a (one of the 10) TDZ indicators.